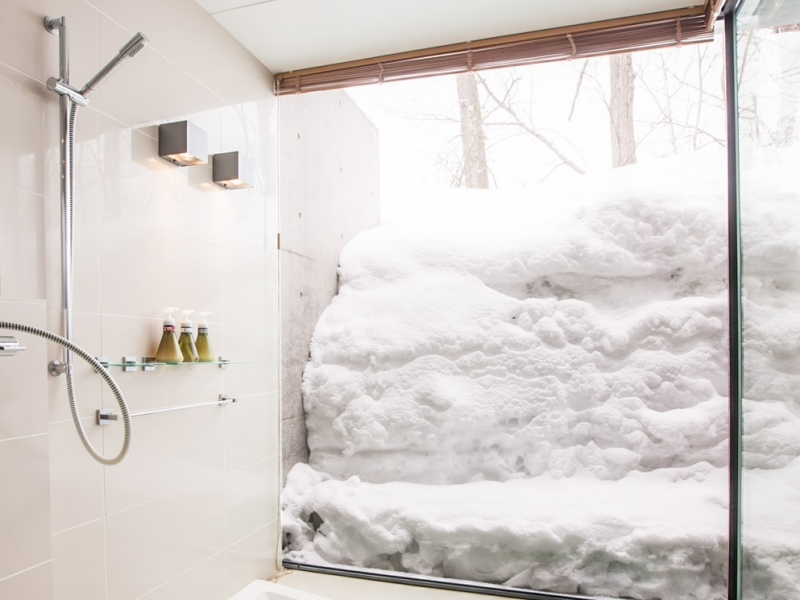 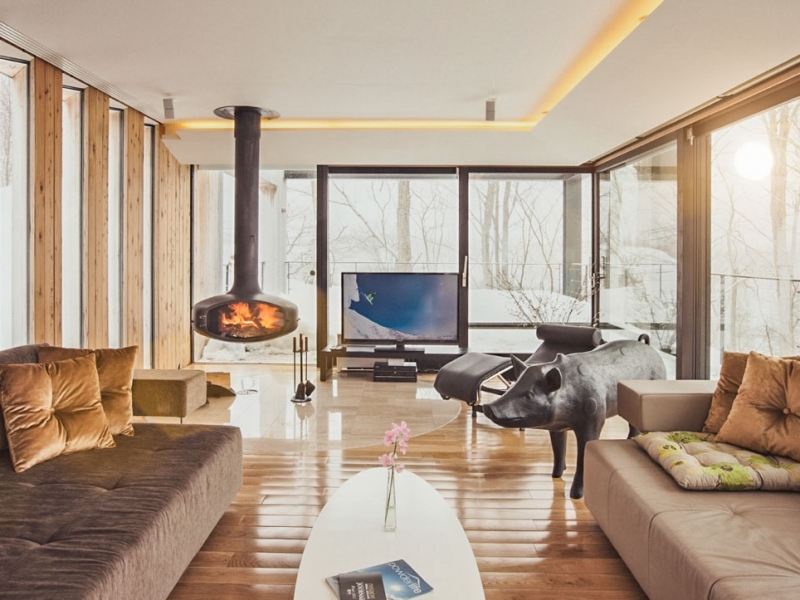 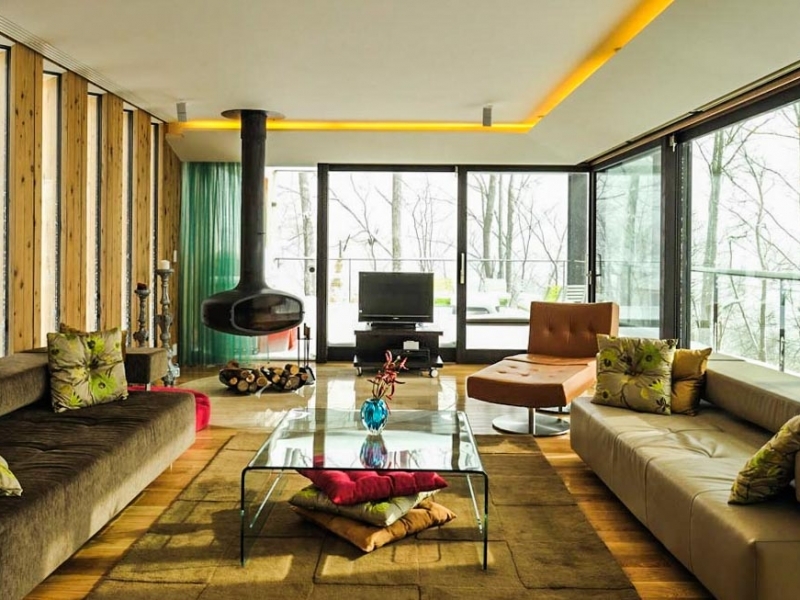 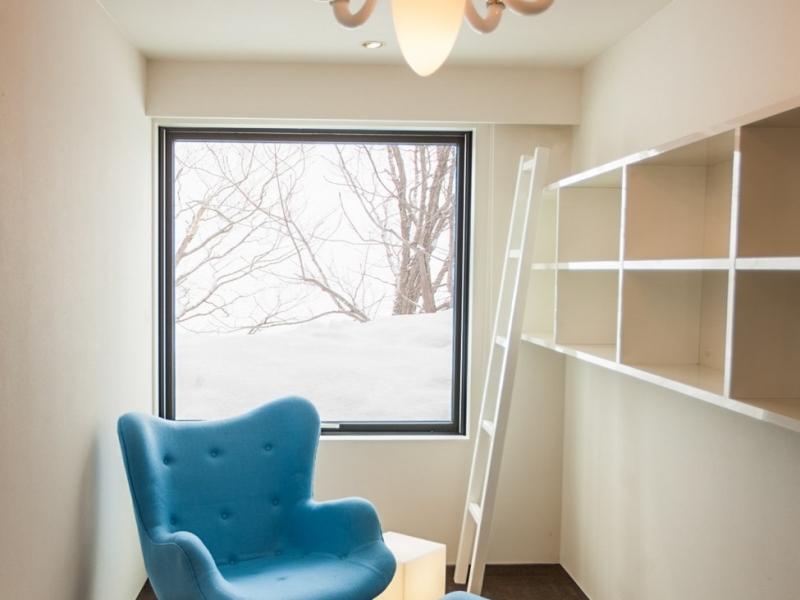 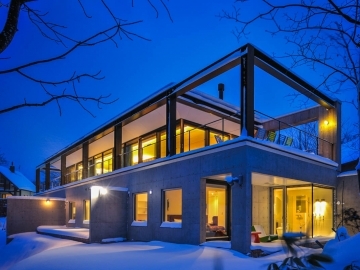 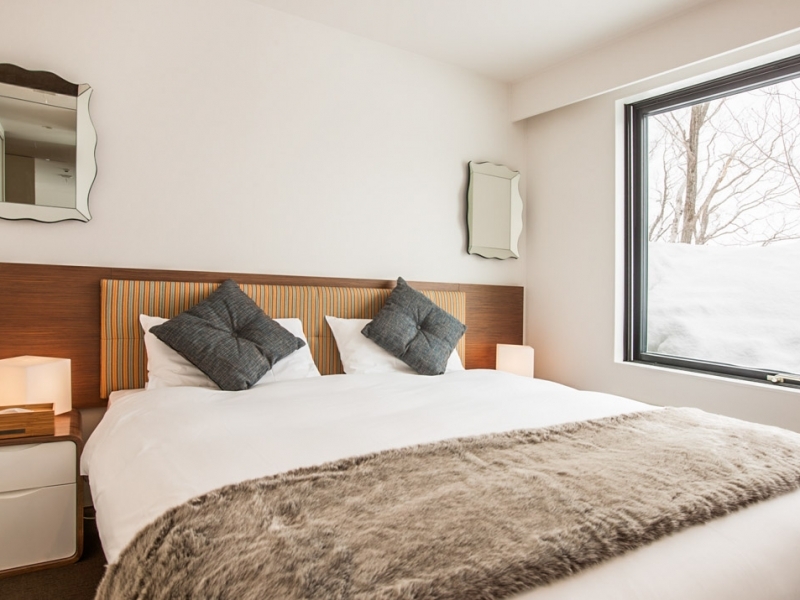 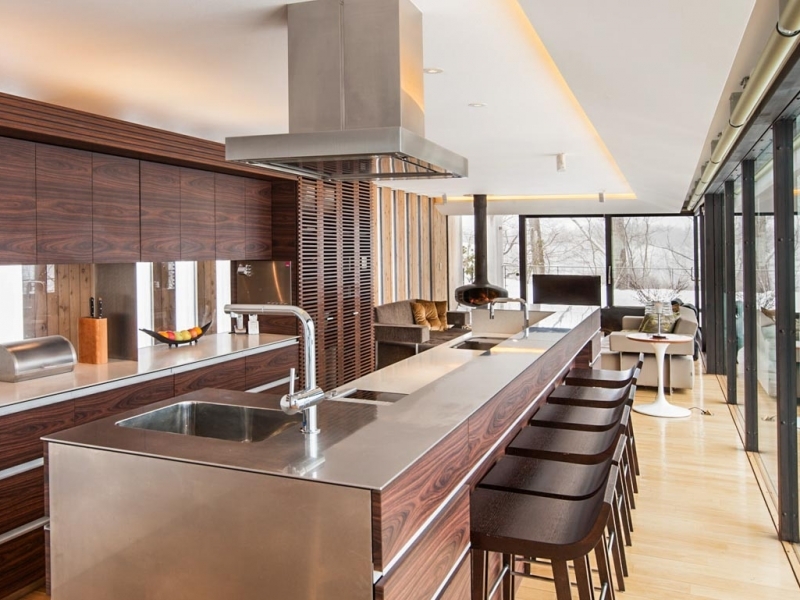 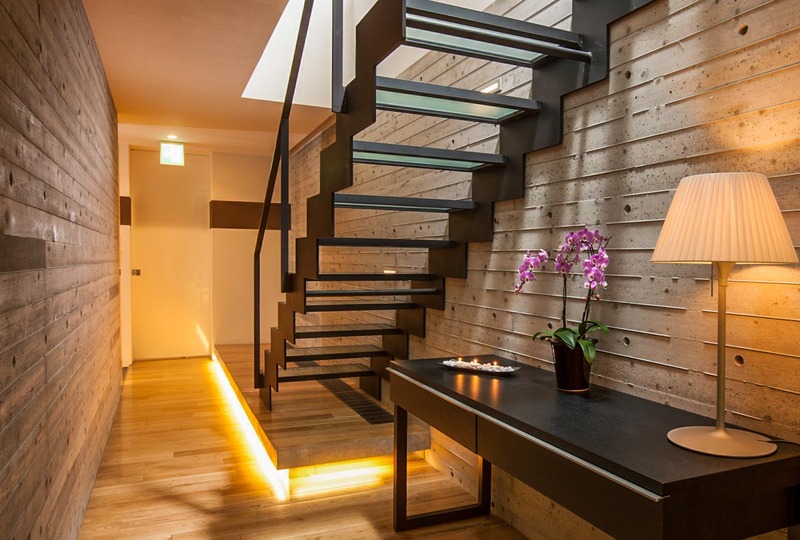 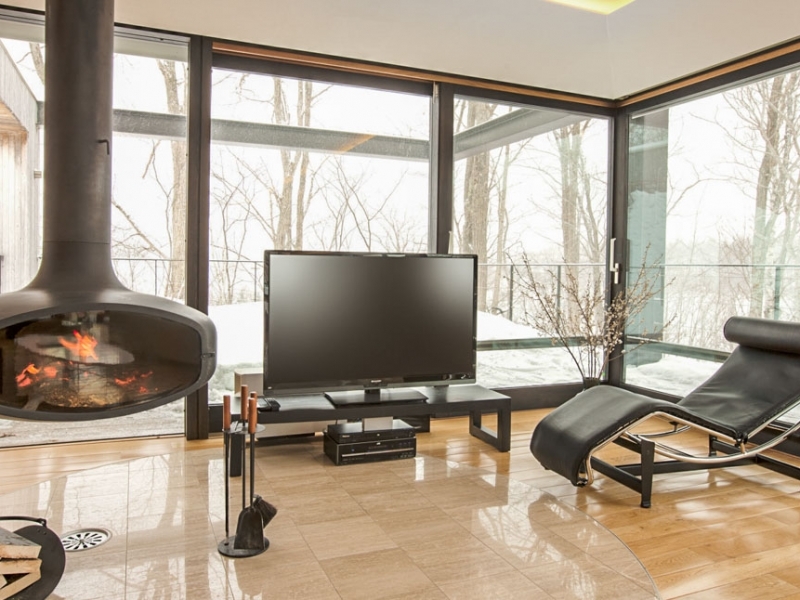 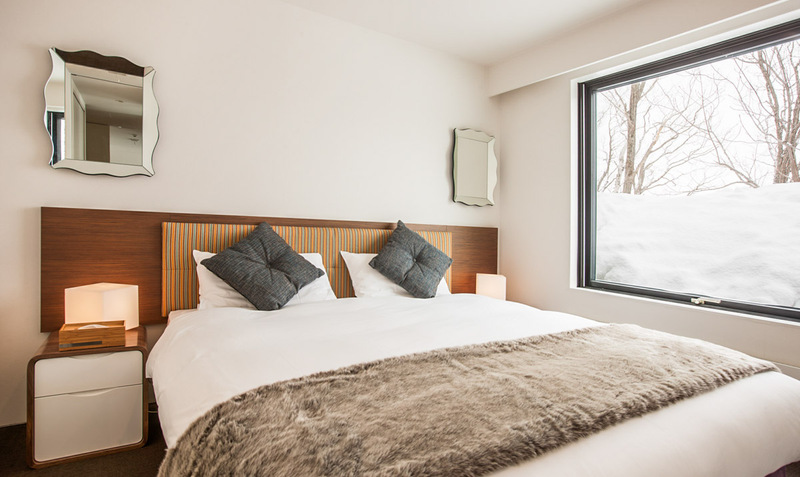 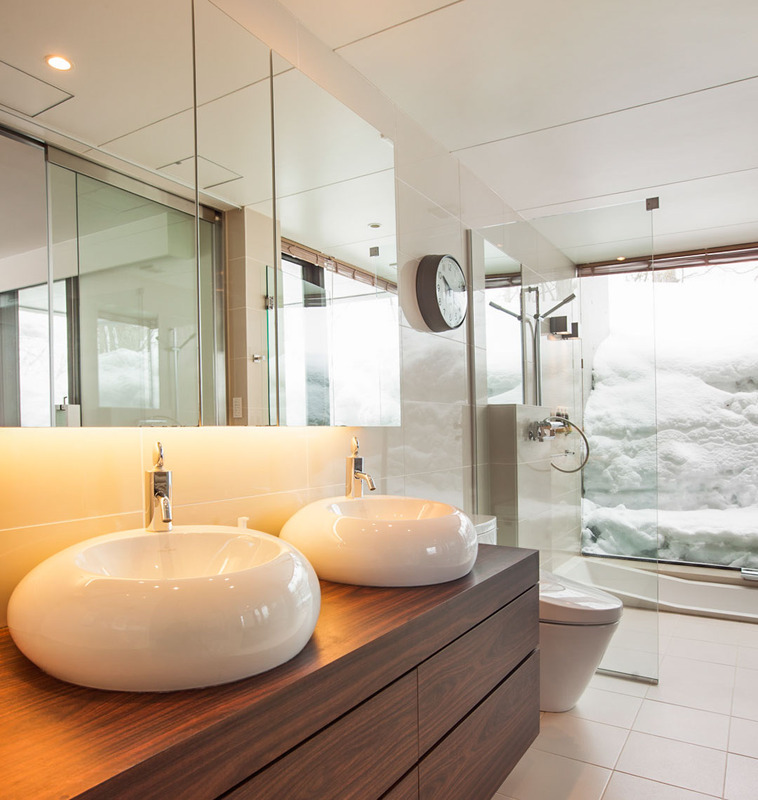 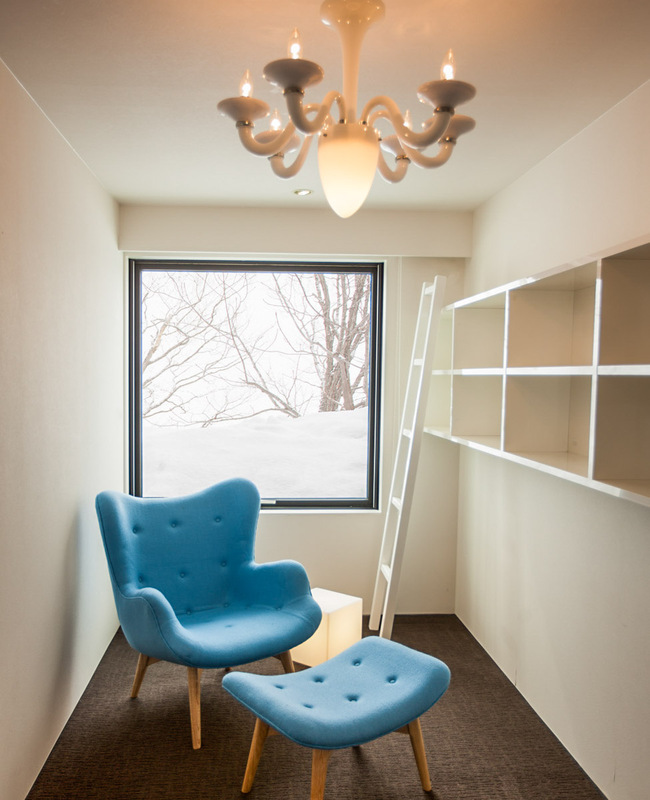 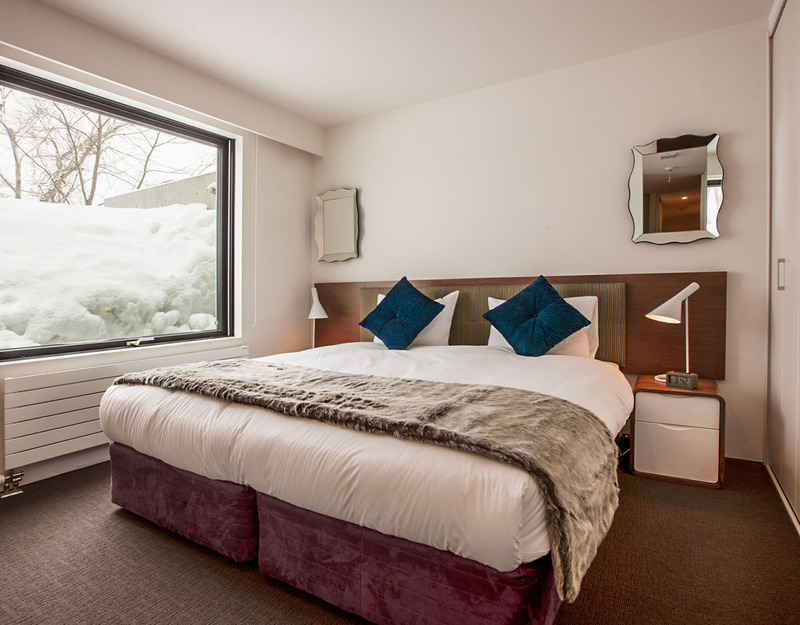 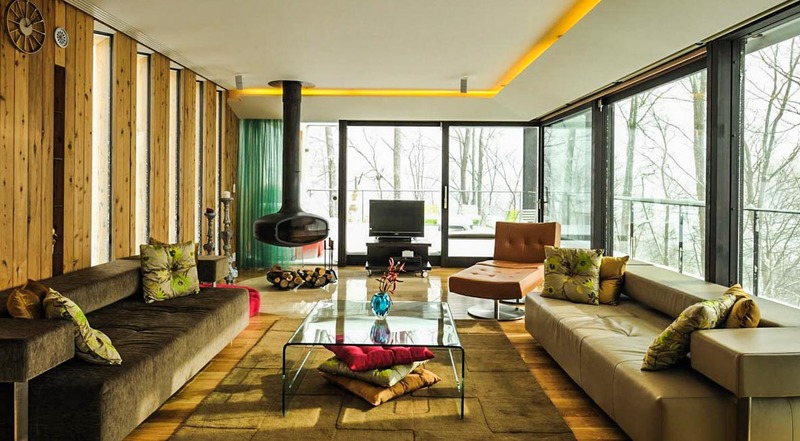 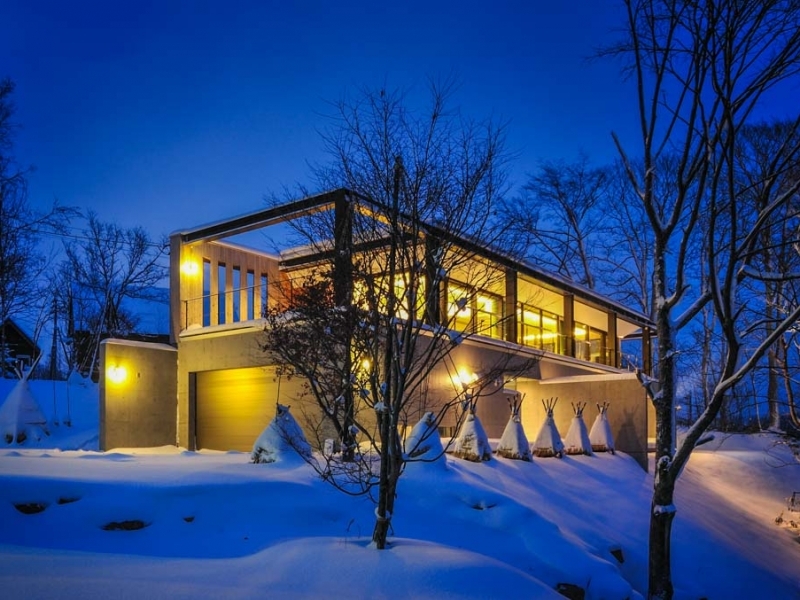 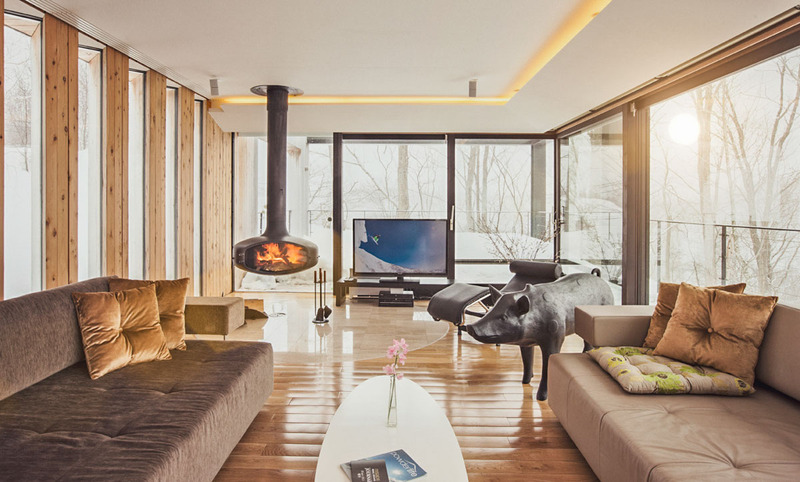 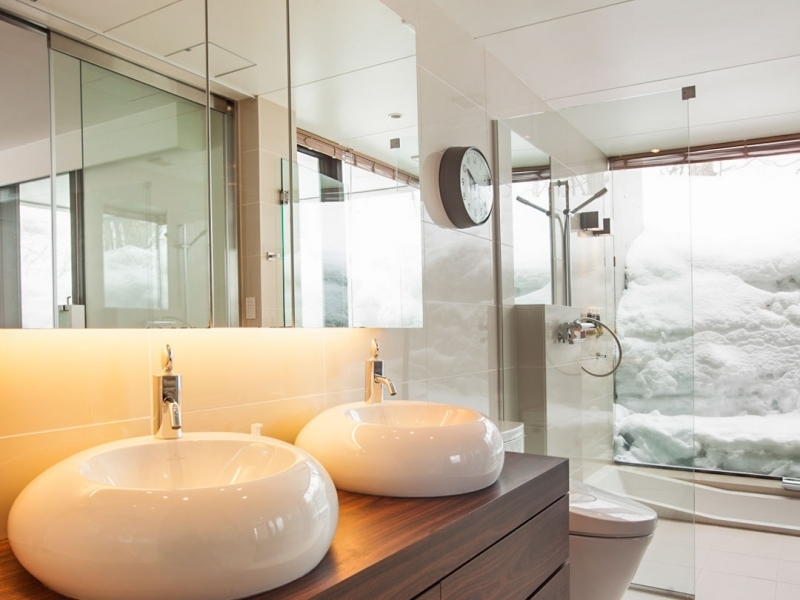 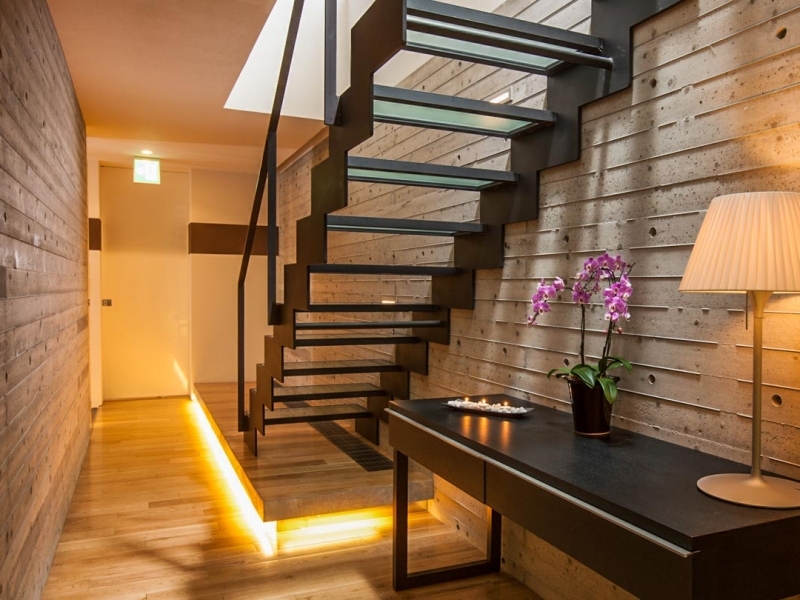 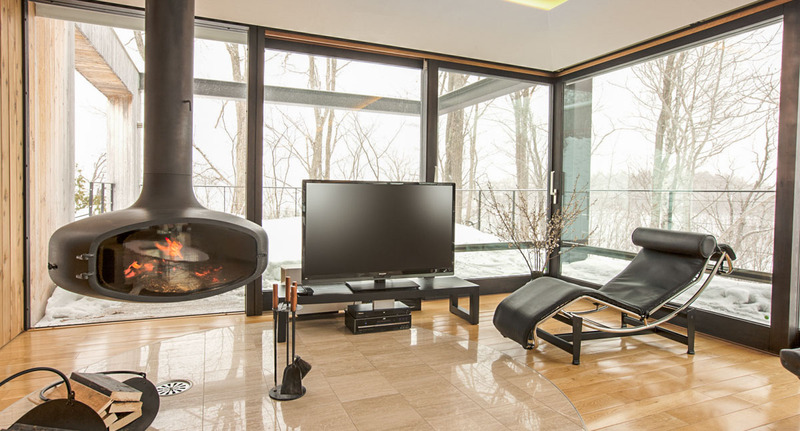 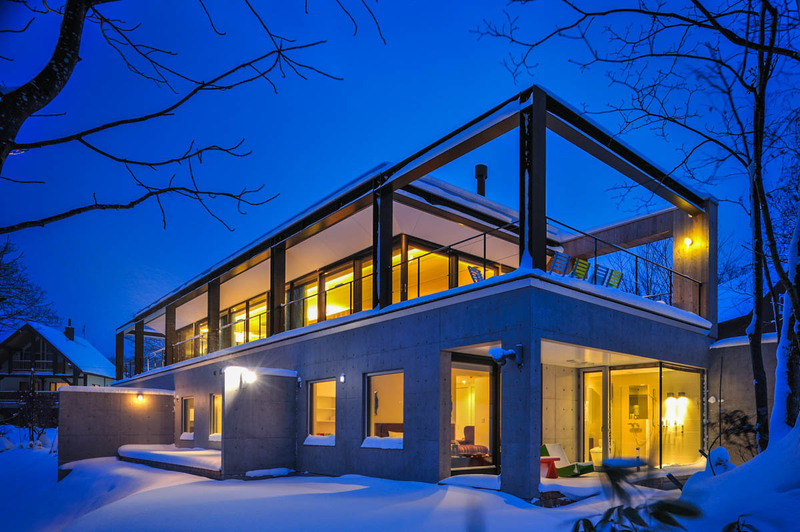 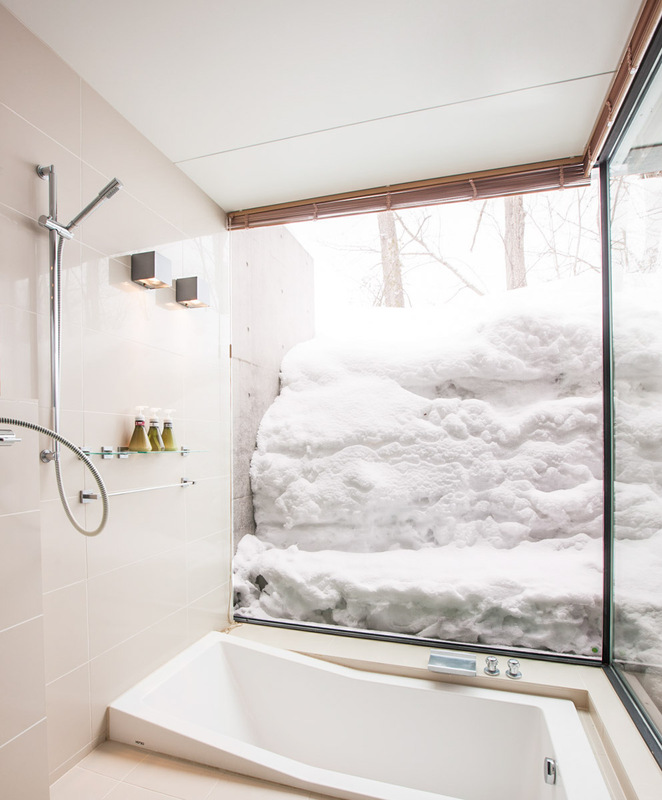 Nominated for the World Ski Awards 2014 and 2015, Glasshouse is Niseko’s most elegantly appointed 5 bedroom designer home. 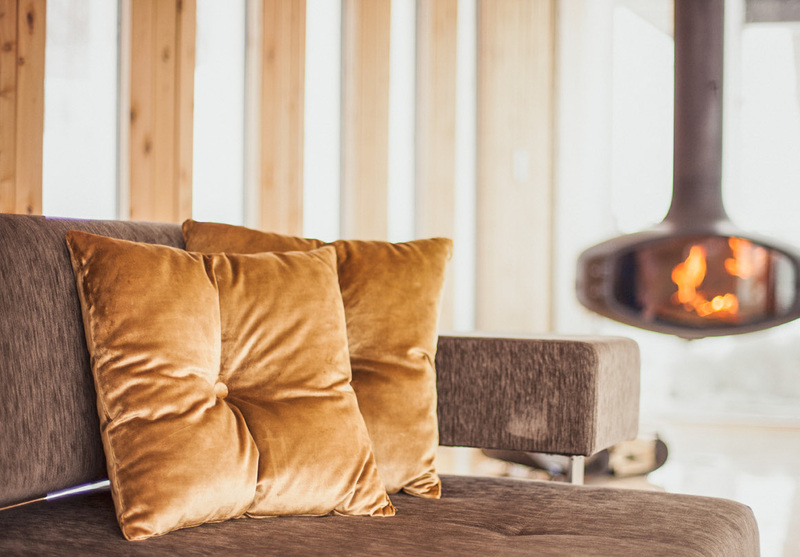 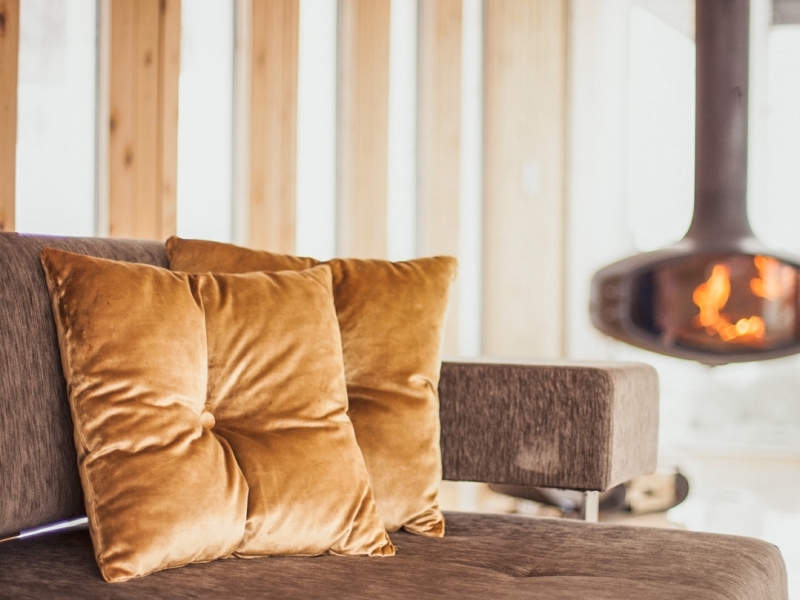 Cozy up with a fireplace that warms the huge upstairs open-plan living space, and relax inside a traditional wooden bath tub or outdoor jacuzzi spa. 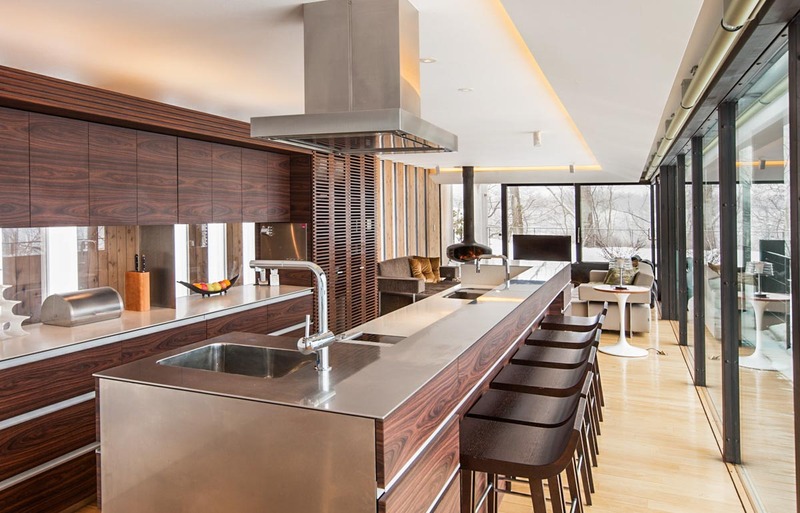 A gas cooktop and BBQ grill makes it easy for guests to prepare food in the comfort of their accommodation. Glasshouse has five bedrooms sleeping 10 + two extra if required. 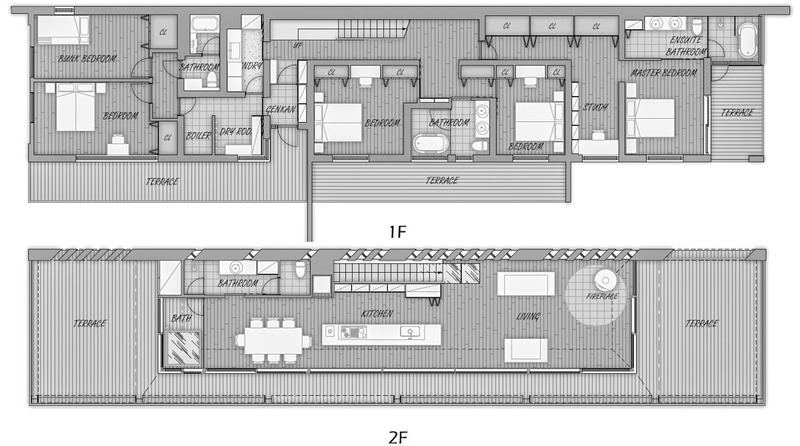 All bedrooms are on the lower level. 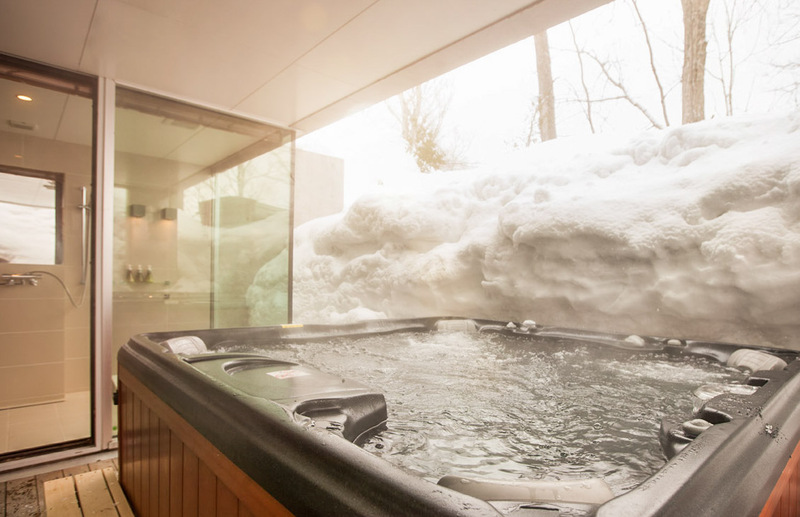 There are four bathrooms: one ensuite adjoining the master bedroom, two shared bathrooms downstairs, and one upstairs, adjoining the hot tub. 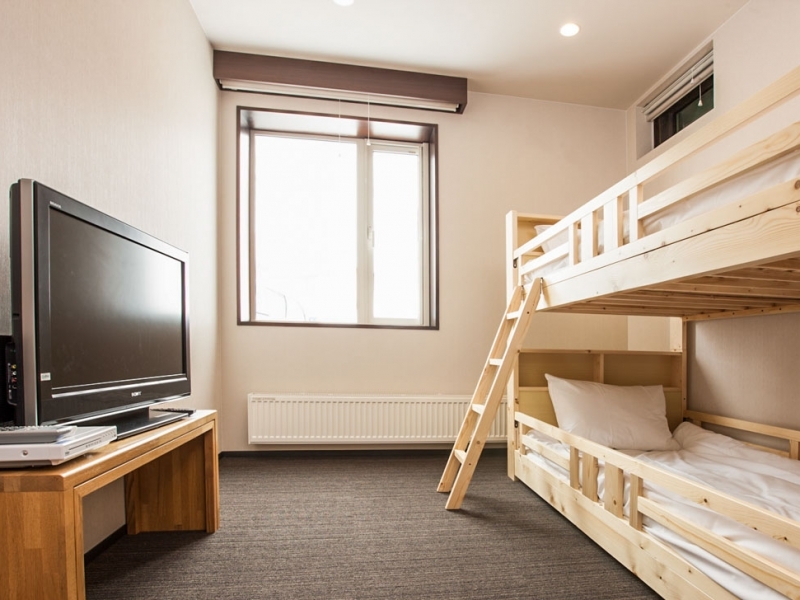 Kids have their own space equipped with a bunk bed, and TV / DVD. 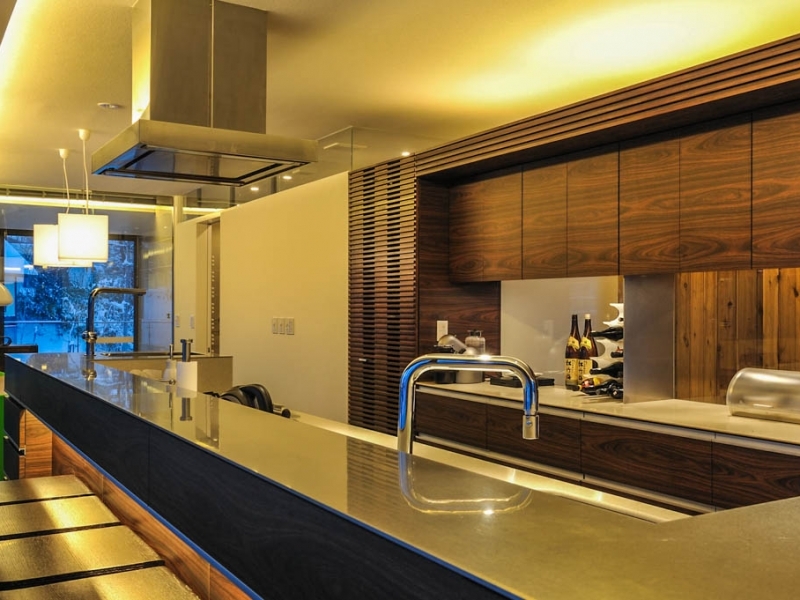 The kitchen has all the latest appliances for the finest cooking, and is well laid out for ease of cooking. 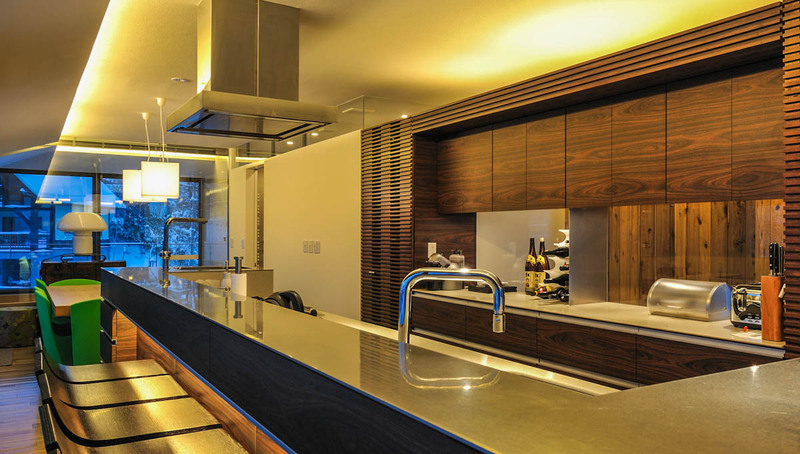 A bar with chairs alongside allows guests to keep the chef company while food is being prepared. 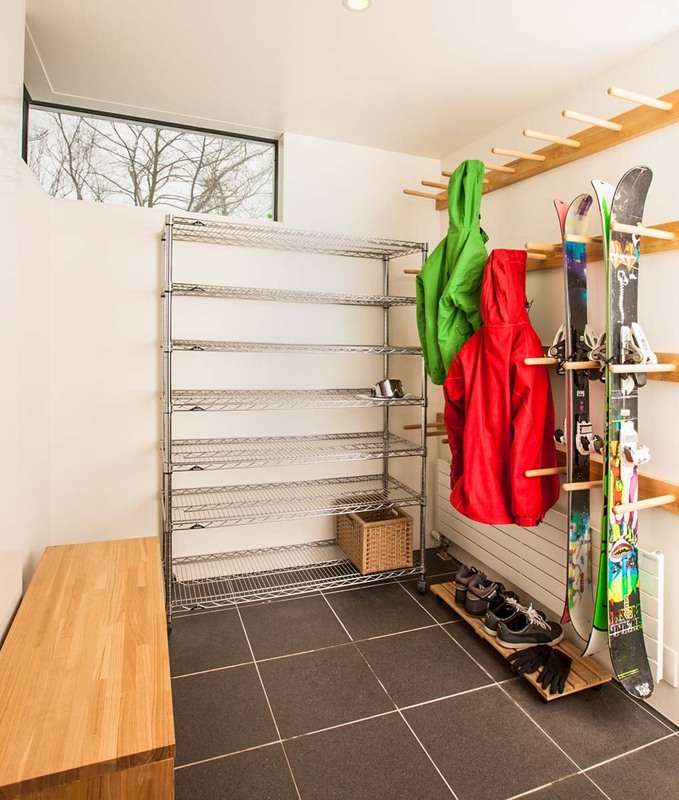 A private concierge service provides daily pickup and dropoff to the Family Ace Chairlift, the Gondola, or even your chosen restaurant for dinner. 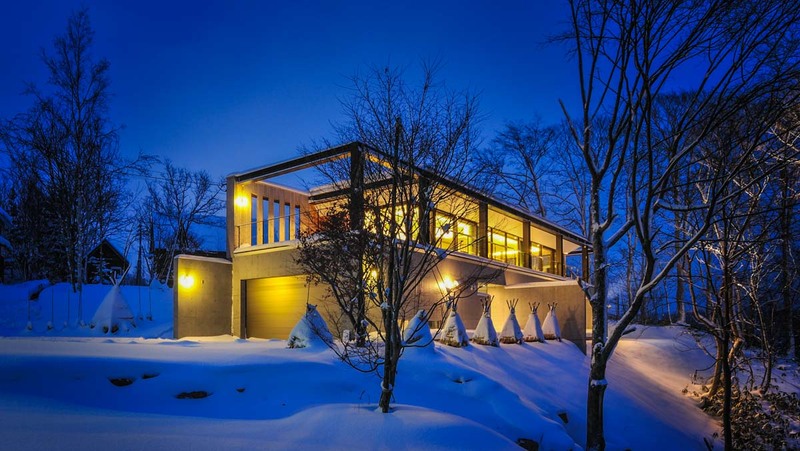 Glasshouse is located on the peaceful, snowbound lower end of Hirafu Lower Village. 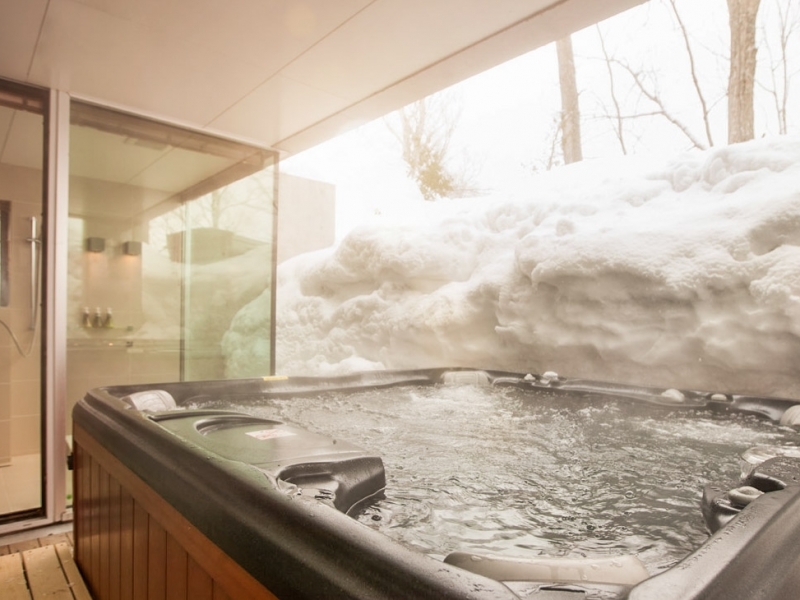 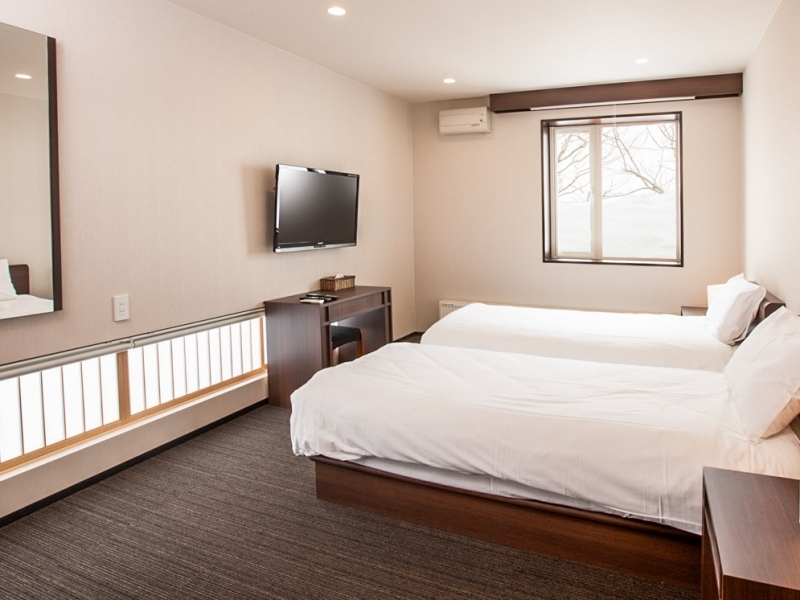 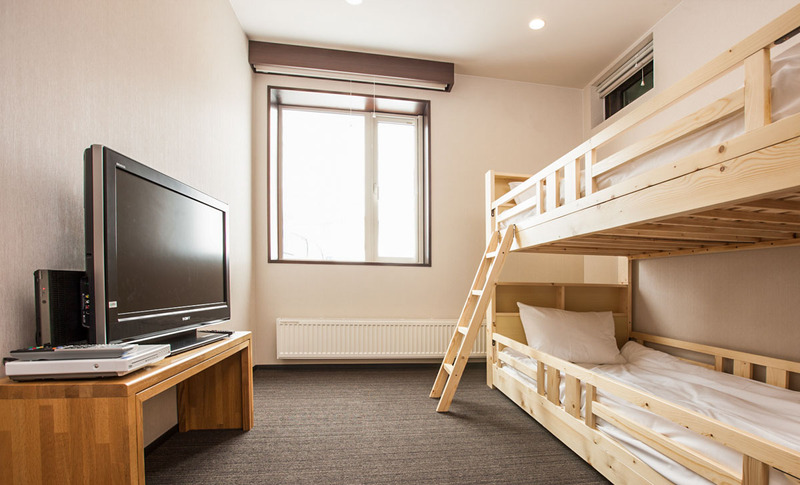 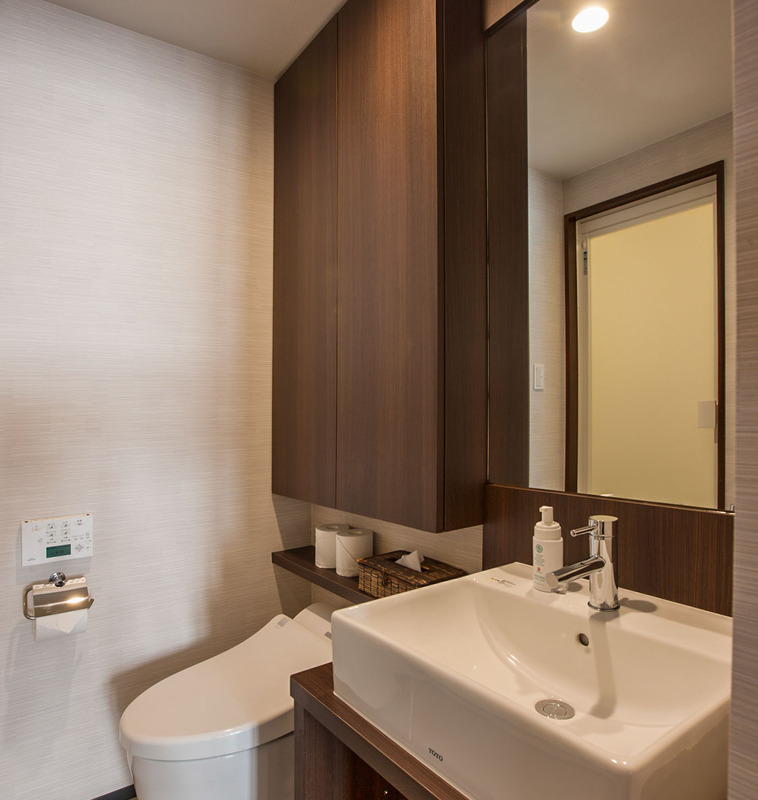 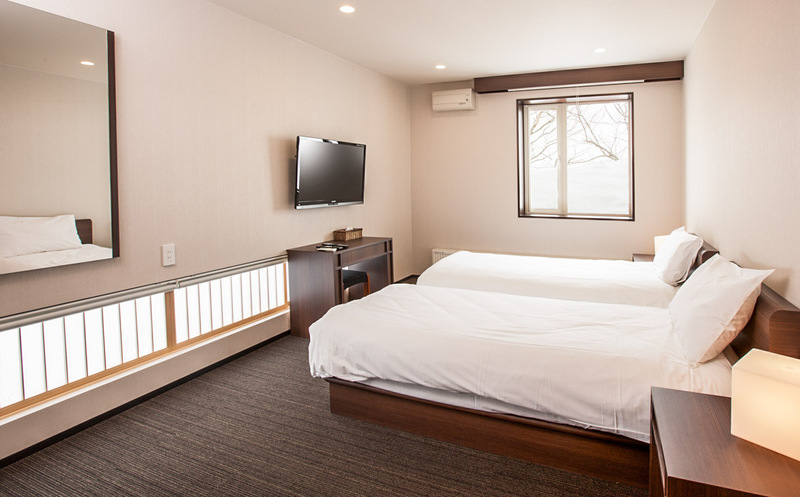 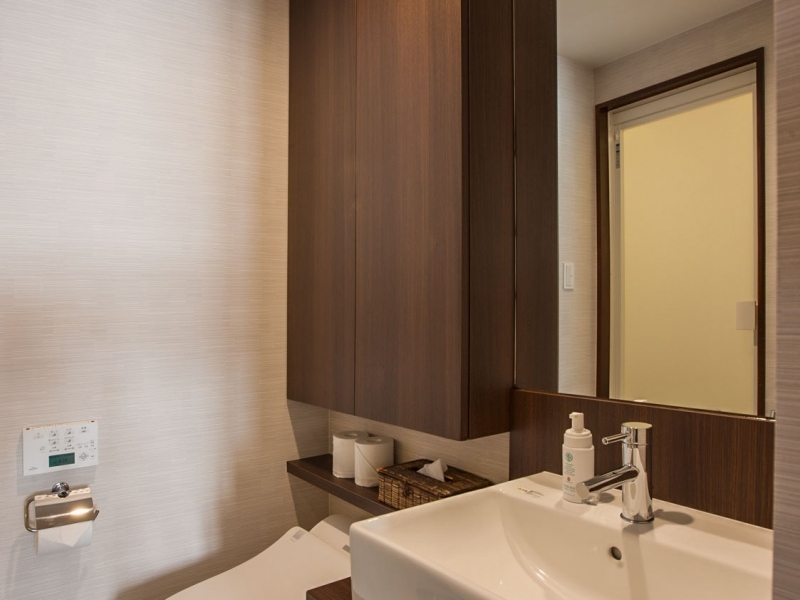 The chalet is a 10-15 minute stroll from the center of the village, being one of the very few houses in Hirafu that has a truly secluded setting. 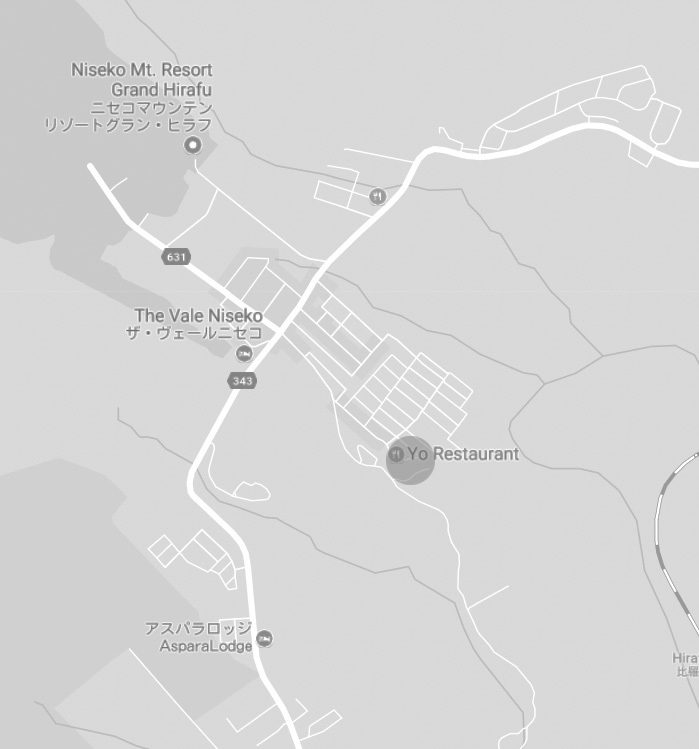 Two minutes away there are a bunch of restaurants and bars. 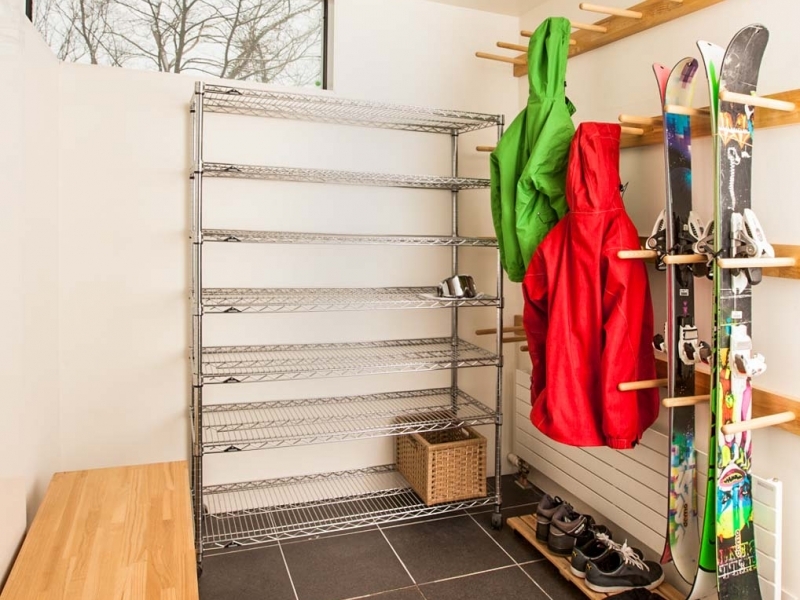 A convenience store and ski lifts are some 15 minutes’ stroll from the house.